Brock CareerZone Blog: How students can utilize CareerZone! If you are looking for tools to use to help you find a job, explore careers, prepare for an interview, attend career events, or build up your career documents, then CareerZone is the one-stop shop for you! CareerZone is Brock's Career Services portal that includes everything you need for career success. There are lots of categories to check out like "Career Services Events", "Workshops", and "Job Postings". 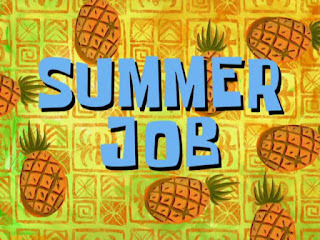 On the "Job Postings" section you can find both on and off campus job postings! This is a great resource for students looking for some work during the school year. It also has postings for those who have graduated and are looking for work within their field! Use the "advanced search" option to find your best results! Another great category on CareerZone is the "Online Resource Centre". By using the "Online Resource Centre" section you can find templates, samples, and guidelines to help you develop your career documents like your resume, curriculum vitae, cover letter, portfolio, or letter of intent. You can count on these resources to be correct and up to date with the current trends in employment!